I have been spellbound by this beguiling and bewitching book; a book that speaks of mothers and daughters, of memories and ghosts, of the way people and places can hold us and form us, and of other things – fundamental things – that I can’t quite put into words. The story that the Lucy Wood spins is quite simple. Ada has come home for the first time in thirteen years with her small daughter, Pepper, in tow. She didn’t really want to come, but her mother has did and it has fallen to her to go through her mother’s things and to clear the house. She had nowhere in particular to go back to, she has nowhere in particular to move on to, but she doesn’t plan to stay. The house lies deep in a valley that has been carved out by a great river; a river that is replenished by rain that never seems to stop. The house is dilapidated, it is isolated, and it has no home comforts. Ada just wants to do what she has to do and then go. But so many things say that she should stay. Pepper has never had a place to call home and she is captivated by the house full of relics of her grandmother’s life, by the power and the beauty of the river, and by the small community that welcomes her. Pearl, Ada’s mother, hasn’t quite left the place that was her home for so long, and her spirit rises up from the river that has claimed her to reclaim her place in the lives and the memories of her daughter and her granddaughter. And even Ada herself begins to wonder as she recalls and begins to understand the past and as she is drawn back into the life of the world that she thought she had left behind thirteen years earlier. All of this happens in one time and in one place, but the story is timeless and it could play out anywhere in the world. 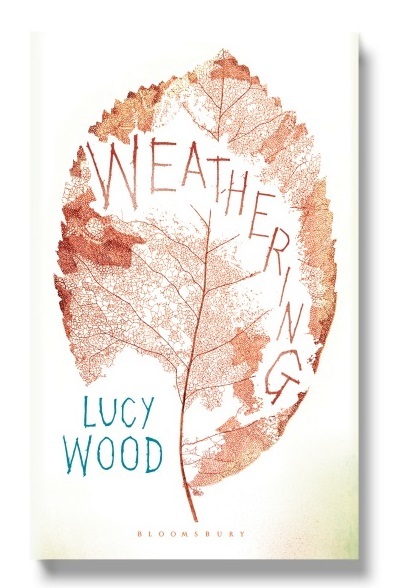 The world that Lucy Wood creates lives and breathes; and it’s a world where nature is very, very close. I could feel the rain; I could hear the river. The river and all of the life in and around it has much of a place as the people who move through the story. The story ebbs and flows, it moves backwards and forwards in time, and it works beautifully. One every page there’s an image, an idea, or a memory, and this is a book to read slowly, so that you can pause and appreciate every one. And so that you can appreciate how profoundly this novel speaks of mothers and daughter, how our relationships and the roles that we play evolve, how our understanding of each other and the world around us change overtime. The emotional intensity, the clarity and the beauty of the writing is so wonderful. I loved Lucy Wood’s voice when I read her short stories, and it was so lovely to recognise it as soon as I opened this book and started to read. Her voice is distinctive and her prose is glorious and utterly, utterly readable. This book explores themes that are close to my heart; I love it for that and I love it for its artistry. I’ve read comparisons to authors like Angela Carter and Margaret Atwood. I understand them, I think they’re fair, but I also think that that Lucy Wood isn’t quite like anybody else. I think – I hope – that one day she will be held as much as esteem as they are. I’ll be very disappointed if I don’t see Lucy Wood’s name when literary prizes are awarded later in this year. I know I’m not wholly objective, but I really do think that this book is in that class. « ‘Julia Misbehaves’: Margery Sharp’s ‘The Nutmeg Tree’ adapted for the cinema …. The cover is lovely, and inside is some of the best contemporary reading I have read in quite some time. This does sound like a wonderful book. I will put it on my list of books to watch out for. It is, and I do hope that you spot a copy soon. Wonderful review, Fleur, and your love for this book shines through. I like what you say about the timeless feel to the story and the way it ebbs and flows almost like a river. That cover is beautiful! Ah good, that was what I’d hoped. The way Lucy Wood captures the natural world is something I so love,but can’t capture in words. The author and the book are both completely new to me! I love books about discovering a house and a place, especially the people find their place there. And the theme of parents and children here sounds very appealing. This is a newly-published first novel, following a volume of short stories – Diving Belles – that I can definitely recommend. The things you mention are things that Lucy Wood does very, very well. Dreadful woman – I was hoping to reduce the TBR, not be arm locked into adding to it. This does sound wonderful. I’ve exercised a MODICUM of restraint – as i am deeply submerged in the wonderful 600 page latest Shardlake, I’ve added it to my wish list and send a sample chapter to the Kindle for opening when Shardlake closes. It really does sound one for me, and your armwrestling review is clearly from the excited heart! Ah, tempting me with a series I’ve never started….. Weathering did strike particular chords for me, but when I stand back and try to be objective I still think it’s wonderful. This sounds like a lovely read, great review, and I love your new look on the blog. It is great – and thank you! You know I so agree with Lady Fancifull…here I was trying to reduce some of my TBR and there…you just added one more. Wonderful review and now thine has tempt me!!! Me HAVE to get this one!!! I’m doing the same but I was offered a copy of this at the end of last year, and as I adored Lucy Wood’s short stories I had to read this. I think you’ll love it! I’m so excited about this book and your lovely review, plus your infectious enthusiasm, have just whetted my appetite even more! Diving Belles was one of my reading highlights from last year. I know exactly what you mean about Wood’s style. I still find the way that some writers can so confidently find a distinctive ‘voice’ so early in their writing career a little awe-inspiring. Mine too, so my expectations for this one were so high – and the book more than lived up to them!